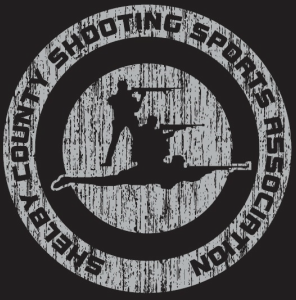 Shelby County Shooting Sports competitive rifle teams offer youths ages 9-18 an opportunity to learn develop their marksmanship skills. Rifle teams are part of the Alabama 4H Natural Resources program. We have teams which actively train and compete in BB gun, Sporter Air Rifle, Precision Air Rifle, Smallbore(.22's), Rimfire Sporter, and Hi-power. Air gun teams such as BB and air rifle practice and compete year round. Practice is generally available on Monday and Thursday evenings at Range Richardson air gun range. Smallbore, Rimfire Sporter, and occasionally Hi-power programs are during the warmer months of the year with practices based on the competition shedule. Since all rifle shooting is essentially the same, a team member may participate in as many of our rifle teams as time allows. We always require a prospective team member to have completed a formal gun safety program such as the NRA / 4-H (click here to find an NRA course near you) programs we offer or an equivalent. We offer such courses twice a year, spring and fall. At other times, as demand requires, an orientation course is offered permitting new members to get started in prone position. We provide everything the student needs to participate in a beginning NRA / 4H course. Equipment is also available so that new shooters may participate in the sport with a minimal investment in equipment. As students see where their interest lies they will want to aquire their own equipment when they can. ﻿There are several methods of providing support to SCSSA. 1) Be an active member of SCSSA. Encourage your son or daughter to attend practices regularly and pay training fees early (these fees cover the cost of consumables and equipment used during practice.. Competition is important; encourage your child to compete in more events. You can personally help scoring, record keeping, administering tests, organizing awards dinners, etc. 2) You may donate directly to SCSSA. Direct support is always welcome. 3) When you join the NRA or renew your membership in NRA a portion is allocated to SCSSA if you use the links on our website. 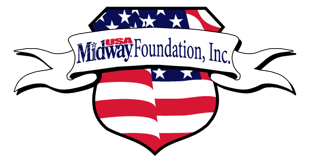 4) You may donate to Midway USA Foundation, Inc. where you can earmark your donation for the benefit of SCSSA as one of the registered teams. Donated funds are matched by Midway and we can request up to 5% each year to use in our budget. 5) Your employer may match contributions made by you to SCSSA. This increases the benefit of any contribution you make. SCSSA coaches are part of a network of NRA Certified Instructors throughout the United States providing a public service by conducting NRA Basic and FIRST Steps firearm training courses. Whether you are interested in recreational shooting, competition, hunting, gun collecting, historical reenactment, home safety or personal protection—the basics are where to start! NRA Basic Firearm Training Courses teach you the principles of safe handling and shooting which help you develop the knowledge, skills and attitude for the safe and legal use of firearms. For those coming to SCSSA without approved firearm safety training and unable to enroll in a NRA Basic Rifle Shooting course due to the time of year or other conflicts, an Orientation course may be just the ticket. After a brief 2-3 session that introduces a junior to safety and basic knowledge, he or she may then join us on the firing line shotting from a single position.